back to the good old shampoo. | escaped. back to the good old shampoo. During one of the many tram rides, I passed by Toni & Guy which is apparently so near to the place I'm staying. Then I saw the Kerastase ad outside Toni & Guy. So came home with this. I really hate it when people have this perception that covered up girls have bad hair because of the hair not being kept properly due to hijab. Really, it annoys me to no end. So whenever I do see the girls not taking care of their hair or taking it lightly, I have this urge to tell them "you're the reason people think that!" So please, girls, just because you cover your hair doesn't mean you can neglect taking care of your hair - and by that I mean shampoo-ing, blow-drying, trimming split ends, conditioner - because at the end of the day, you have to preserve it for your future husband so that he won't run when he sees you without hijab. And guys, just because we cover our heads doesn't mean we have limp hair. I know a lot of girls look phenomenal without their hijab on. 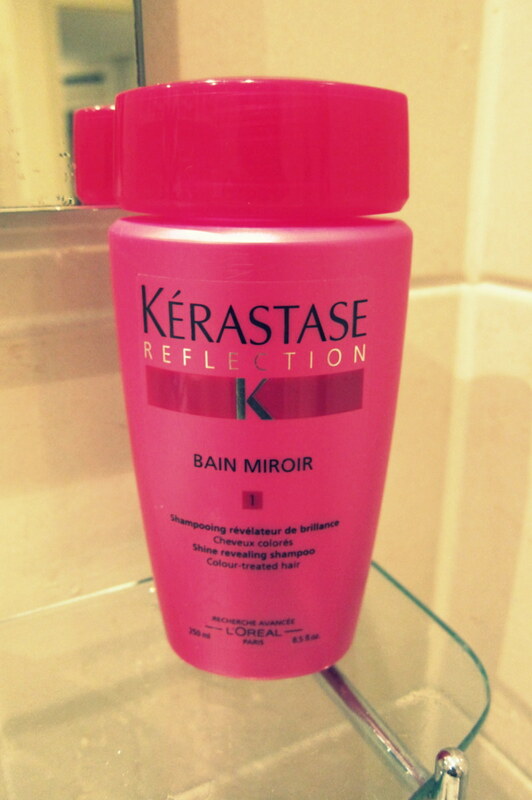 Point is, Kerastase is probably the best high-end shampoo I've tried; and it cost me around 20 euros here. It's probably costly for daily use, but you can skip this after a month or two and switch to regular shampoo and come back when you feel like you need a hair lift. If Watson or Guardian ever considered stocking this brand, I'd be the happiest person on earth. Obviously not to my purse, though.